Friends! Readying for Turkey Day? Are you cooking or dining out? What kind of attitude are you sportin’ to go with that? 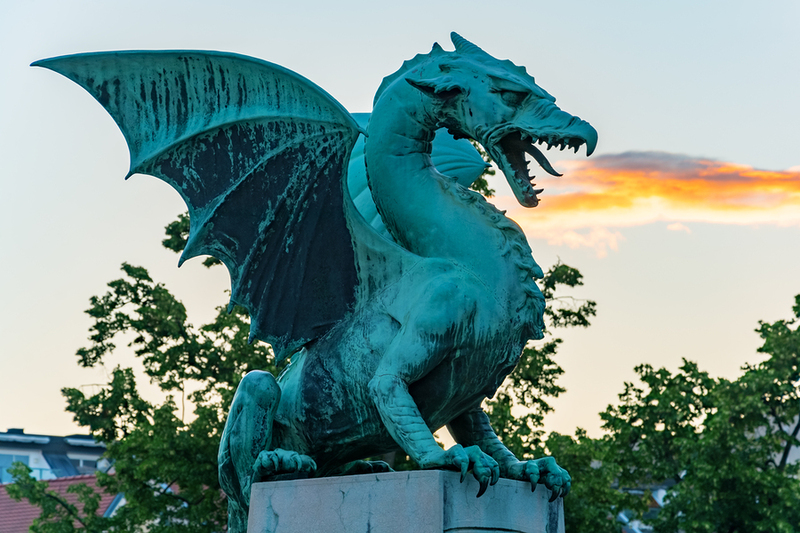 For years and years and years, our wee family traveled to Owensboro, Kentucky, where my Aunt whom I’m named for, produced the largest Thanksgiving feast I can recall. 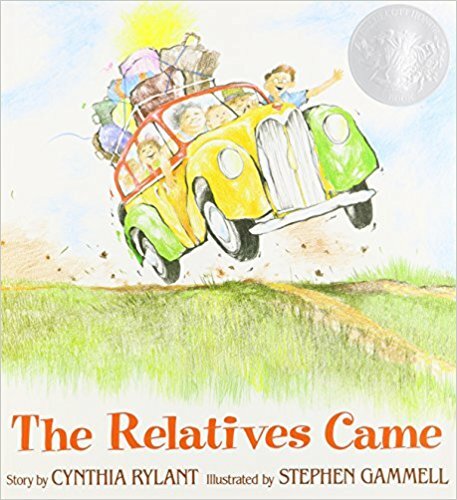 Cousins traveled from afar and we mimicked the children’s book, The Relatives Came by Cynthia Rylant. Years later, my cousins in Florida hosted Thanksgiving. Those were some wonderful memory making years of traveling with the boys, Woody eating sand during his first trip to the beach, John Jr. saying we’d better stop for gas when he’d slept the entire night, and Gordy waking but not crying, going right back to sleep provided he could hold a ball of any kind. We could pack a station wagon better than the Beverly Hillbillies. So, as Thanksgiving is upon us, (Praise the Lord my in-laws have been hosting Thanksgiving the past few years, so we just show up!) let’s look at a couple of excellent authors’ books on grace, one per week to help us add a side of grace to our Thanksgiving meal. 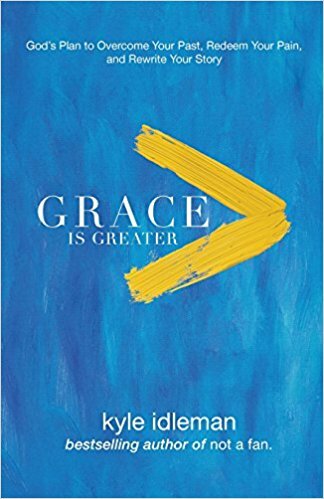 First up, is a fab book by Kyle Idleman called Grace is Greater—God’s Plan to Overcome Your Past, Redeem Your Pain, and Rewrite Your Story. The book’s divided into three parts: Grace is greater than your mistakes, your hurts, and your circumstances. Kyle covers any possible scenario you may be experiencing. If you’re thinking, “Yeah, but you don’t understand my life right now.” Maybe so, but God does and Kyle will prove it to you. In reading the many wonderful endorsements of Kyle’s book, I laughed at one gal who said she was at first skeptical about another book on grace. I was with her there. 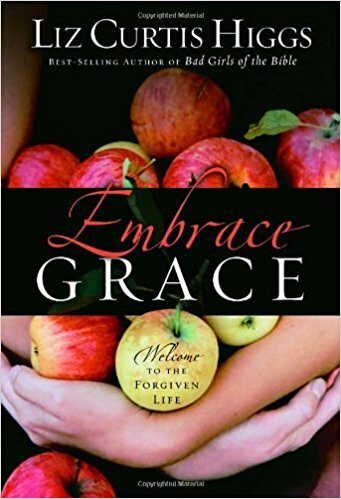 In fact, my all-time favorite book on grace is by my dear friend, Liz Curtis Higgs: Embrace Grace—Welcome to the Forgiven Life. But wait for this: Liz happens to be one of Kyle’s endorsers! She says, “…Grace is Greater is practical and inspirational, providing a clear path to freedom through God’s amazing gift of grace. I loved it!” Friends, this is HUGE not only coming from Liz, but I maintain grace is one of the most difficult subjects to articulate. Run, don’t walk, to your nearest bookstore and snag a copy of Grace is Greater before Thanksgiving and before those relatives roll in! Bravo to Kyle. I love Kyle Idleman’s books! 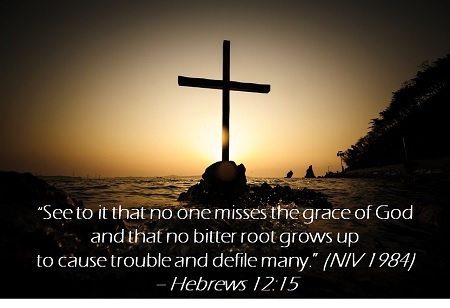 Grace is Greater and The End of Me are my favorites!